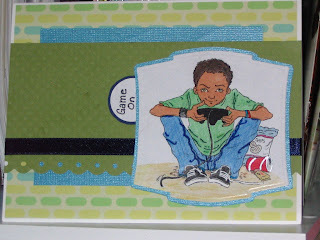 This week over at Mo's Challenge blog the challenge is to make a male card, I don't make very many of these so this was really a challenge for me. 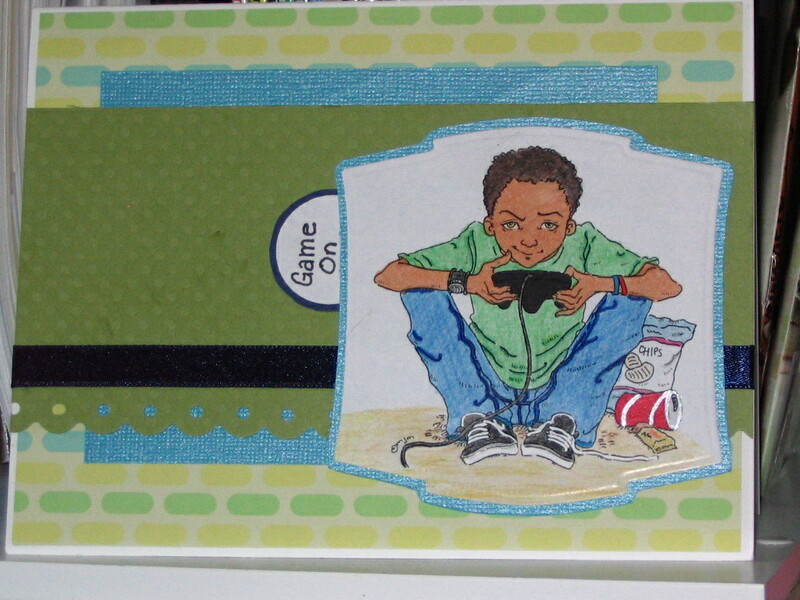 I chose this image beacause it reminded me of my son, who loves to game any chance he gets. The sketch is from The Sweet Shop and the the twist is to use a tag somewhere on your card. I'm also entering this card into Stamp Something challenge. They are holding another one of their monthly "Go Digital" challenges, so all you have to do is use something digital on your creation. They are being sponsored by several different digital companies who will be giving away several of their images or a Gift Certificate if you win! Go over and check it out, challenge ends Thursday, July 22, 2010. Wonderful card! Fabulous colouring and layout and I love that cool image from Mo. Thanks for playing at Stamp Something, hope to see you back next week! Love this image for a boy's card! Thanks for taking part in Mo's Challenge this week. Awesome image and card! Thanks for playing at The Sweet Stop! Perfect for the challenge this week.. Thanks for joining us at Mo's.. Thanks for playing with us over at The Sweet Stop.